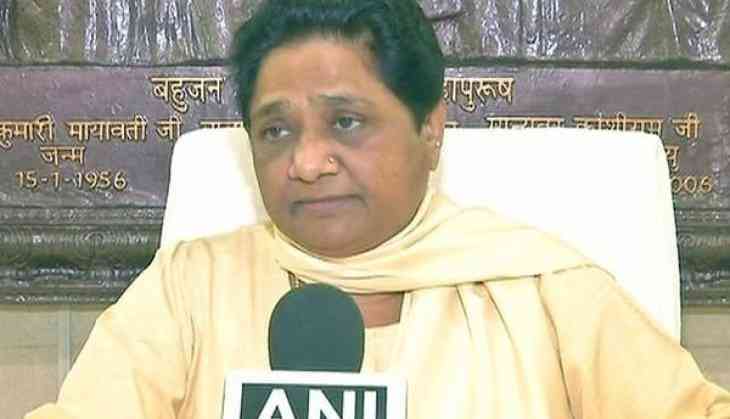 BSP chief Mayawati Friday predicted the BJP's loss in the Lok Sabha elections, saying they can do "chowkidari" after losing the polls. In a tweet, she said the BJP leaders were free to do whatever they want and amuse themselves but they should not insult the country and denigrate constitutional posts in any way. "Let DM, CM & PM remain as per the provision of the Constitution. They can do chowkidari after losing polls," she tweeted. Mayawati alleged that while its leaders did not care about the Rafale files, they were hiding crucial data on unemployment and farmers' plight. In a series of tweets, she took a jibe at Prime Minister Narendra Modi and his colleagues for calling themselves 'chowkidar' (watchman). She alleged they are not bothered about Rafale files being "stolen", but are hiding data on "declining" employment rate, poverty and farmers' plight. She claimed the data was being hidden for vote or image and asked if the country needed such a "chowkidar". Modi and his partymen have launched the 'Main bhi chowkidar' (I too am a watchman) campaign to blunt the opposition's, especially the Congress's, 'chowkidar chor hai (watchman is a thief) slogan. The former Uttar Pradesh chief minister claimed that while several BJP leaders and ministers declared themselves 'chowkidars' like the prime minister, Chief Minister Yogi Adityanath was not sure whether to announce himself as one or remain a public servant or a yogi (sanyasi). The BJP leaders may adopt whatever fashion they want, but they should work as the 'watchman' of the law and Constitution, she said, adding that this was all that the people wanted.